Samoa have now signed off from their 12 days of sporting competition at the 2014 Commonwealth Games in Glasgow. The Games were officially declared over at the closing ceremony, which was held at Scotland’s national stadium, Hampden Park. It was an enjoyable evening to finish an enjoyable Commonwealth Games. The Samoan team were excited about the ceremony even before leaving the village. Once they arrived at the stadium they were posing for photos and integrating with all the other countries of the Commonwealth. There was much singing and dancing to Oceanic singers Kylie Minogue and Jessica Mauboy at this global carnival of fun. It all began with the flag bearing ceremony which was held at Glasgow Caledonian University on the 26th July where the Pacific nations were in attendance basking in the scorching sunshine - a taste of back home for the people of Samoa. The tone was set and the feel of the Games was really felt during the opening ceremony. Ele Opologe carried the flag into Celtic Park accompanied by her fellow Samoans to a raucous cheering crowd. There were many highlights for Samoa throughout the special 12 days of sport in Glasgow, where all the nations of the Commonwealth came together and competed against one another. Weightlifting was the prime sport for Samoa, where they excelled. Before the Games began there were big expectations on the Opologe family to deliver medals for their country. The Opologe family consists of four siblings: Ele who had the most expectation on her to win a medal preferably a gold, Mary, Petunu and Tovia. 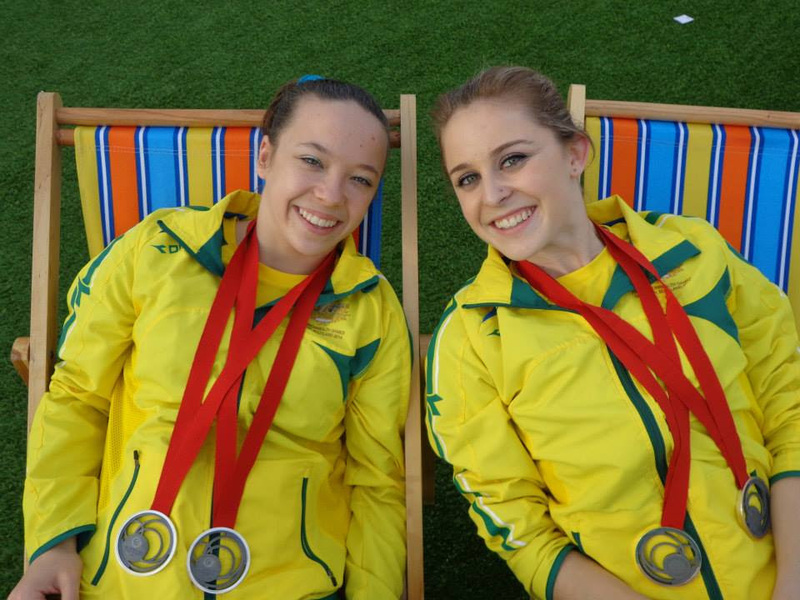 Both sisters Mary and Ele won silver medals in successive days. Petunu and Tovia both put in tremendous efforts but unfortunately finished outside of the medals. Also winning a bronze medal on the second day of the weightlifting was Vaipavo Nvo Ioane who claimed the bronze medal in the 62 kg category. There were also many other incredible moments for Samoa during these Games. One of the focal points the defeat England of by 15 points to 14 in the medal stages of the Rugby 7`s at Ibrox stadium. This put them through to the semi-finals of the competition where they were eventually defeated by Australia. Samoa eventually finished 4th after losing the bronze medal play off match to South Africa, the eventual winners. Brandon Schuster, 16, who was competing in the swimming at Tollcross International Swimming Centre also had a fabulous time in Glasgow. He got 6 personal bests in 6 days. He also broke the national age record for a 16 year old in the 50m freestyle by almost a second. This has been a fabulous Games for Samoa who have really enjoyed their time in Glasgow. Hopefully they can use their experience here to get even better for the Pacific Games in PNG next year and other competitions ahead such as the 2016 Olympics in Rio and the next Commonwealth Games in the Gold Coast in Queensland, Australia. This article was produced by Craig of The Reporters’ Academy, the official media of the Pacific Nations at Glasgow 2014 Commonwealth Games. Currently reporting from the athletes village. The Reporters’ Academy is a youth media production company integrated into the world of sport, media and education. The closing ceremony was awash with colour, made up of the volunteer dancers and numerous miniature tents, with the athletes hidden inside, until the shrill tones of Lulu signalled for them to jump out and join in the party. The distinguished light blue of the Fijians fitted well into the brightness of the evening. The music did not stop there. The Scottish band, Deacon Blue performed one of their most popular songs, “Dignity”, whilst a convoy of vehicles representing the City Workers entered the stadium. The formalities followed, with speeches from HRH Prince Imran of Malaysia, President of the Commonwealth Games Federation and Lord Smith of Kelvin KT, Chairman of Glasgow 2014, prior to the lowering of the CGF flag. The flag was then passed to representatives of the 2018 Games in Australia, before their warm-hearted welcome to bask in the wonder of the Gold Coast. Jessica Mauboy, made a guest appearance along with athlete, Sally Pearson, in the promotional campaign. With that, Glasgow was no longer host of the Commonwealth Games and the party swung into life. Pop sensation, Kylie Minogue was the star performer, with her set list telling a story based on a “typical night out in Glasgow”, performed by an army of volunteers out on the field dancing amongst the athletes. As the fireworks exploded into the darkness of the Glaswegian night, and confetti poured down, it signalled the end of what has been eleven days of pride, passion and perseverance. For Fijians, the ability to compete at this year’s Games was merely a pipe dream at the start of the year, now just six months later, this dream became a reality and Fiji competed in six events. The Games started in a wonderfully emotional style for Fiji. The kindness of Team Scotland to let Fiji spend time with the baton summed up the spirit of “the Friendly Games”. It is unusual for people to meet royalty, let alone play video games with them, but for Leslie Copeland and Eugene Vollmer, this was a reality and a moment they will never forget. Prince Harry, on a visit to the Athletes’ Lounge, walked over to the two athletes and joined them for a game. Another magnificent highlight occurred in the weightlifting. Apolonia Vaivai lifted not only a total of 209 kg but also a bronze medal. This was Fiji’s 15th Commonwealth Games medal, ever, and it was fully deserved. The swimming saw Caroline Puamau reach the semi-final of the Women’s 50m backstroke before just missing out on the final. There were also Personal Bests (PBs) and National Records set by Matelita Buadromo in the Women’s 200m Freestyle; a National Record set back in 1999 by teammate Puamau. Similarly, in the Women’s 100m Freestyle, Cheyenne Rova, beat her PB. The athletics proved fruitful for Fiji. Eugene Vollmer put in a proud effort in the Men’s Triple Jump and although he did not qualify, he was happy, delighted with his performance. Javelin thrower, Leslie Copeland reached the Men’s final on a very wet Glasgow night finishing tenth. Finally, in the Lawn Bowls, both the Women’s Triples and Fours reached the quarterfinal stage before they were knocked out, unfortunately, and in the Men’s Trap Shooting, Glenn Kable finished an overall 9th with a total score of 110 points. The Commonwealth Games Family was happy to welcome Fiji back and Team Fiji certainly added great warmth and colour to the Games. Glasgow’s slogan this year was Bring It On! Fiji can’t wait for 2018. This article was produced by Mike Marron of The Reporters’ Academy, the official media of the Pacific Nations at Glasgow 2014 Commonwealth Games. Currently reporting from the athletes village. The Reporters’ Academy is a youth media production company integrated into the world of sport, media and education. “We played one of the strongest teams here today; although we lost the game we managed to make good shots”. This was the reaction of Alofa Adam after her and her partner Asi Sulami lost their women’s pairs lawn bowls match by 26 points to 8 against the highly ranked South African side. Samoa put up a good fight against the South Africans who were being represented by Tracy-Lee Botha and Colleen Piketh. Ultimately, the South African’s were too strong on the day, however Alofa has some ideas on how the lawn bowls ability can be improved in the Pacific. Alofa said, “We need more training and coaching in the Pacific in order for us to improve. I think that we need better facilities so that we're able to practice on greens that are almost equivalent to the amazing ones that are on show here today”. When asked about her experience of playing in Glasgow, she replied; “I've really enjoyed playing here because of the brilliant facilities and the wonderful crowd”. Gabriel’s second match could have seen him qualify for the quarter-final but in a close battle he narrowly lost to Leonard Callus, of Malta, with a final score of 21–20. In other news, Eddie Hereme, 20, competed in the men's 200m at the athletic’s track at Hampden Park. He clocked a time of 21.44 seconds and finished 6th in his heat and out of the next round, a solid result in his first Commonwealth Games. After a fantastic Commonwealth Games experience, Team Solomon Islands show their appreciation for being able to compete in the Commonwealth Games. This article was produced by Dan O'Hara of The Reporters’ Academy, the official media of the Pacific Nations at Glasgow 2014 Commonwealth Games. Currently reporting from the athletes village. The Reporters’ Academy is a youth media production company integrated into the world of sport, media and education. The final day of Team Kiribati’s sports at the 2014 Glasgow Commonwealth Games was at Hampden Park with Boitu Baiteke. With the stadium full the atmosphere was ecstatic spurring every athlete on. Boitu competed in the Men’s Triple Jump against 19 other athletes on Day 9 of the Games with the 12 best performances advancing to the final. Boitu was only one of two athletes in his group who was successful in all three of his attempts. With his best jump of 13.21m, only 9mm off his season best. Despite not advancing further in the competition, Boitu was applauded by the audience as he walked off the field. Boitu was the last athlete from Kiribati to complete his event yet he gave it his all as though it was the first day of the Games. The old guard of Anolyn Lulu and Yoshua Shing shined in their Mixed Doubles campaign in Glasgow. Their partnership was first established in 2007 and with every tournament the chemistry between them grows, their prowess increases. On court number one, with TV cameras glaring from the side of court, they produced a cool first round display against Mauritius. They eased to a two game lead with successive 11-6 wins, before Mauritius claimed a foothold in the game, winning the third game 7-11. Shing, who had surrendered a promising 2 game lead against Paul David of Guyana the day before in the men's singles, was determined to make amends: "I didn't want to make the same mistake as I did yesterday," he revealed, with partner Lulu adding, "We've come to know each other's game, we've been playing together for many years now." It was that familiarity alongside one another that saw them through the the second round. They both hit some clinical shots in a tight fourth set rich in big rallies. They were simply too much to handle in the end, running out 11-9 winners, taking the match 3-1. "It was a good win and we're so happy, especially on our national independence day," said an elated Anolyn. Top seeds Gao Ning & Lin Ye, who already have gold medals to their names at Glasgow, in their team competitions, awaited them in round two. With Shing admitting post match that against such highly respected opposition they had "no pressure," they were a stern test for the Singapore team. They led several times in the first two sets, taking them to 6-11, 9-11. Singapore would take the third set 3-11. Says Shing: "I'm just so glad that with some of my shots they didn't reach the ball. I'm ranked 2000 in the world and Gao Ning is ranked 12th. I think he was a bit nervous and didn't want to make any mistakes. We had no pressure and worries. It was a good game. We lost but it was a happy loss, we have smiles on our faces. Always." This article was produced by Phil Weller of The Reporters’ Academy, the official media of the Pacific Nations at Glasgow 2014 Commonwealth Games. Currently reporting from the athletes village. The Reporters’ Academy is a youth media production company integrated into the world of sport, media and education. The last athlete to compete for Team Solomon Islands in the Glasgow 2014 Commonwealth Games, Sharon Firisua set a new Solomon Islands National Record for the 5000m, and in the process smashed her Personal Best. Despite typically tough Scottish weather conditions, Sharon ran a time of 18 minutes 45.18 seconds to set the new National Record. 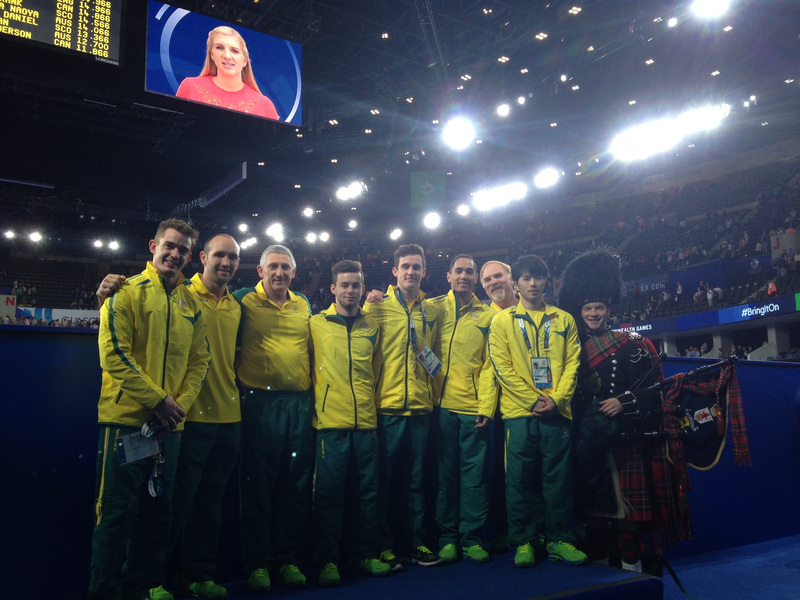 At the end of competition at the Glasgow 2014 Commonwealth Games, our Australian gymnastics teams have brought home four silver medals! 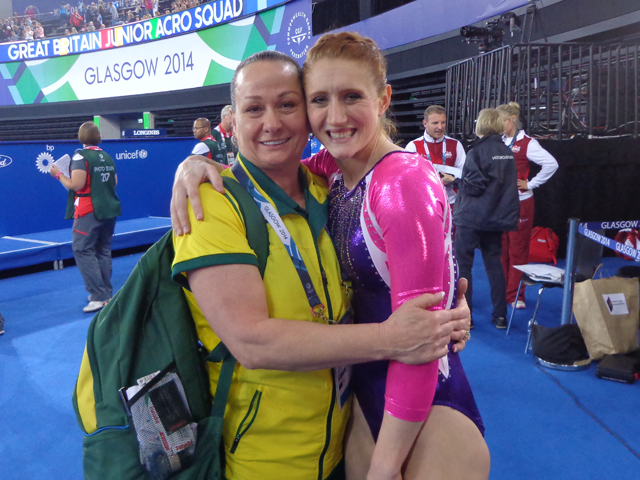 Women's Artistic gymnasts Mary-Anne Monckton (VIC) and Lauren Mitchell (WA) finished second in the Beam and Floor finals respectively on the ninth and final day of competition for the gymnastics teams. Read our full wrap up of Day 9 of competition here, including our Men's Artistic Gymnastics finals success. 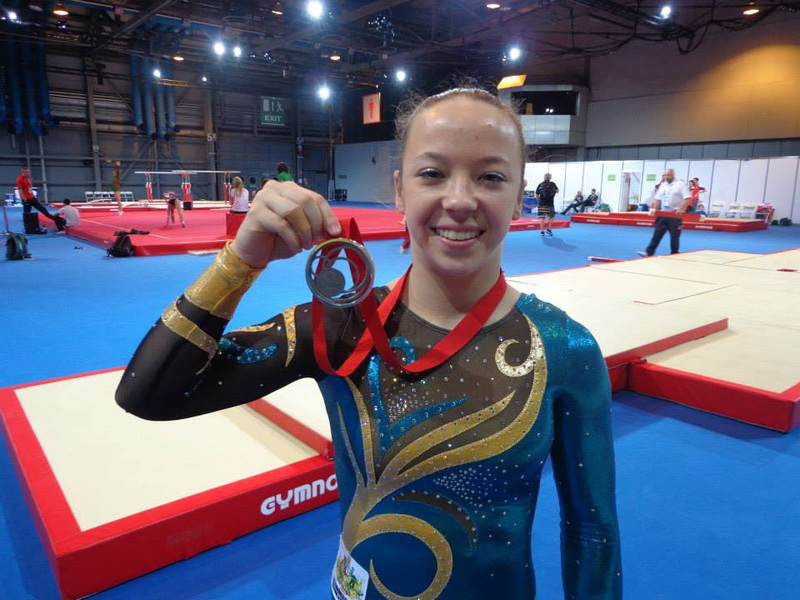 Our wrap up of the Glasgow 2014 Commonwealth Games gymnastics action. 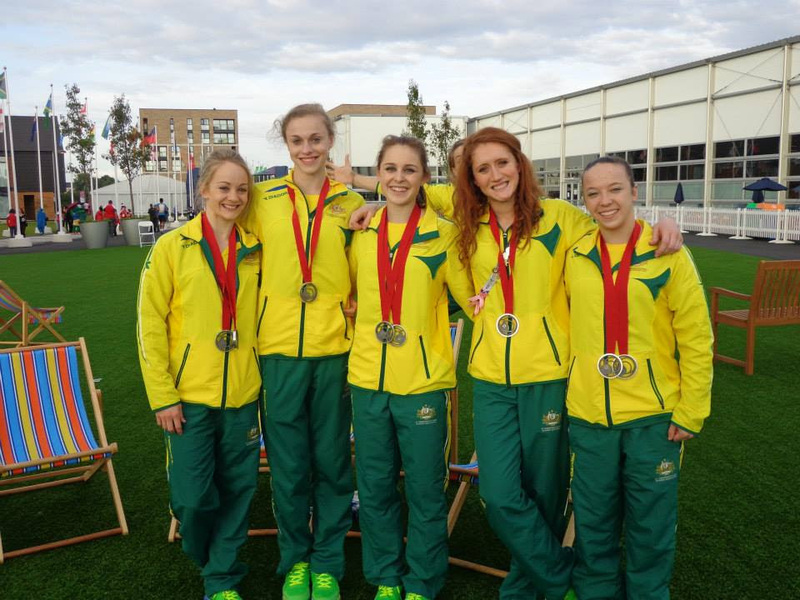 Did you check out these blogs from our former gymnasts who told about their excitement of competing at the Commonwealth Games? 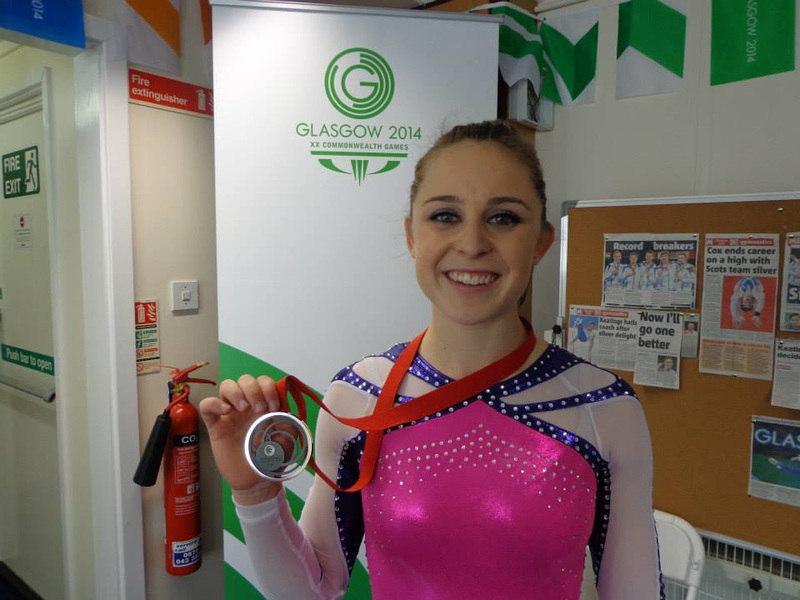 You can catch up on the latest events from Glasgow 2014 on the TenPlay website or apps. Check out our Facebook page for even more pictures from the event too. Fiji’s final chapter in their much welcomed return to the Commonwealth Games, sadly did not end in a fairytale fashion. A sodden Hampden Park played host to the Men’s Javelin Final, featuring Leslie Copeland, competing alongside the Olympic champion from Trinidad and Tobago, Keshorn Walcott. To be in with a chance at a medal, the top eight athletes from the first three throws would qualify for three further attempts. As the rain poured down, completely soaking both the athletes and the run up, Copeland was unable to register a distance on his first attempt. His second throw went out to 68.16m, placing him ninth overall. His third attempt saw him improve on this to 68.50m, but he was unable to break into the top eight. His final position was a disappointing tenth. The weather certainly seemed to affect the quality of throws with the officials constantly trying to mop up the copious amounts of surface water. Fifth placed, Stuart Farquhar managed to record just one distance out of six and even Gold medallist, Julius Yego, failed to register on half of his throws. The Olympic champion finished in the silver medal position. Copeland, 26, refused to allow the weather to be used as an excuse. “(My throw) was not good. It was technical problems again. I was starting to feel my shoulder which caused me to throw too high”. Not everything went wrong and he was pleased with certain aspects such as his run up. When asked about his Glasgow experience, the Fijian was grateful. 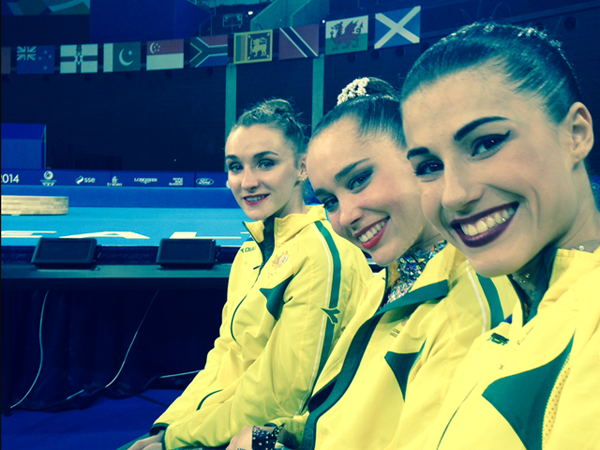 “I am so happy to have competed and I will never forget this moment... my highlight was getting to the final”. Bermuda Olympic Association shared Katura Horton-Perinchief's photo. Kojaram Midal Manai was with Laxman Singh and Napsa Manai. Encouraging note from Bridgitte Hartley: Thank you for the continual support over the last few years, I never thought I could achieve a medal this year I only aimed for a top 5, however this is a great achievement for me. It's mine and south Africa's first flat water sprint canoe medal over an Olympic distance of k1 woman 500m at world champs level. In 2009 I won bronze and k1 woman 1000m and it was my first world champs medal, since it's only been World Cup medals and if course my highlight at the Olympic games winning bronze. It's tough training overseas so often as all the competitions are there but it's paid off and I am grateful to have had the support from Sascoc to travel and compete. Team Wales updated their cover photo. Commonwealth Games Association of Jersey added a new photo. I wonder if UK and Jersey's fire-arms laws mean Jersey becomes a destination for UK sports people to train? I wonder if Tax, Investment etc., means Team GB would be better sourcing sports equipment via Jersey? Could all Team-Jersey who attended No 10 Downing Street add photos to Facebook, Flickr or Twitter? Happy birthday to SASCOC President Gideon Sam from Team South Africa's media duo at the Youth Olympics in Nanjing, China – Mark Etheridge and Wessel Oosthuizen. The birthday boy looks so young it's a wonder he's not actually competing here at the Games! Fiji Association of Sport & National Olympic Committee added a new photo. Yesterday the Bermuda Olympic Association announced Kyrah Scraders as the Bermuda Flag Bearer for the Youth Olympic Games Opening Ceremony, Islandstats.com brings you comments from both Scraders and Chef-de-Mission Katura Horton Perinchief.